Are You Up To Date with Major Crypto News - Last Week in Crypto - May 2018? With Consensus 2018 behind us, there were a lot of major announcements in the cryptocurrency industry last week. On Friday, I knew that I had a lot to catch up on so I decided to hop on Reddit and see if there were any headlines that interested me. As I scrolled through the title “Have you been up to date with major Crypto news from this week?” caught my eye. The user, u/QuantalyticsResearch, had taken the time to put together all of the notable headlines of the week into one convenient post that summed it up. I thought that this was a great way to get all of the information I was looking for, and as I read some of the articles, I started to write a short synopsis of each to share with Steemit. I would love to do a post like this weekly if there is interest from the community, as I think having multiple stories in one summary article like this helps promote a healthy discussion, and shows a well-rounded pictures instead of just one side of things. All sources have been provided. Also.... as you may have noticed in the image and title, I am announcing a giveaway for this webcam to my Steemit followers. When I hit 2,000 followers I will be giving away a Logitech C922x Pro Stream Webcam for FREE. Right now I only have 300 followers, so to reward those that have been following me for longer, I will give anyone who is following me before June an extra entry. To enter, all you have to do now is follow me on Steemit. The reason I am doing this is because I got an extra one of these for free from Logitech, and I want to empower someone on the Steemit platform to make quality content with a good camera. Anyone who resteems this post will get an extra entry for themselves basically doubling your chances of winnning. 1) Coinbase and another cryptocurrency company talked to US regulators about the possibility of obtaining banking licenses. Banking licenses would help startups “broaden the types of products they offer.” Due to the sheer volume of Coinbase, along with their largely U.S. based millions of customers has close relations, and regularly deals with the Securities and Exchange Commission and other U.S. regulators. Currently Coinbase, and any other United States based cryptocurrency firm providing the service of buying, selling, and storing crypto, have to be connected to banks for payments and operate via money-transmission license in the U.S. Along with this comes different state-regulators for potentially each state customers live in. Banking licenses would allow firms to offer customers federally insured accounts, along with a slew of other products. 2) Coinbase has invested in a cryptocurrency startup, Compound, that lets users earn interest on cryptocurrencies. Compound is a company that aims to allow users to lend, and borrow cryptocurrency at an interest rate. Since most of our crpto is stored in wallets, there are limited options when it comes to generating interest like cash could in a traditional bank account – even though the interest rates are crap! Compund also wants to give users the option to short sell their coin, basically betting that the currency’s value will fall. While lending out your crypto out on a platform for interest is a cool feature, it certainly not new. Popular platforms like Bitfinex, and Poloniex already allow you to lend out your coin, without fear of the loan not being paid back, to users trading on margin. The problem is they could potentially be hacked and they are centralized, have withdrawal fees, and other issues. One huge difference is that Compound will be built, and allow for, on-chain cryptocurrency interest on coins held. 3) Switzerland is considering the possibility of a Swiss state-backed cryptocurrency. The Federal Council of Switzerland had asked “for a formal study of state backed cryptocurrency” and stated that they understand how the use of an e-franc would come along with major legal and monetary challenges. The study has been encouraged by the Social Democratic Vice President, Cédric Wermuth, and other politicians. About a month ago, the Swiss central bank was making statements like “digital central bank money” is not necessary for efficient cashless payments for retailers, and that [the e-franc] “would give to incalculable risks with regard to financial stability.” While their turnaround in attitude certainly looks like they are seriously considering it, a Swiss state backed cryptocurrency in 2018 is still not a sure thing. If the Swiss proposal gets approval the Swiss finance ministry would produce the study but as of now, there has been no timeframe given. 4) The Wall Street Journal (WSJ) reviewed documents on 1,450 ICOs and found that 271 of the coins had red flags. Out of the 1,450 ICOs analyzed, 271 - nearly 20% - had “red flags that include plagiarized investor documents, promises of guaranteed returns and missing or fake executive teams.” The 271 digital coin offerings reviewed collected over $1 Billion in investor funds. So far, $273 million has been recovered from these projects by investors through lawsuits and regulatory action. Another particularly noteworthy statistic is that out of the 1,450 white papers downloaded from these companies, 11 copied entire sections word for word. The copied text included everything from the companies roadmaps, marketing plans, and even their technical features. To anyone reading a white paper, there are numerous free plagiarism checkers online. Use them. 5) New York just granted its 5th BitLicense to Genesis Global Trading. They are only the third company in five years to be granted the license. The heavily scrutinized BitLicense, which ShapeShift CEO Erik Vorhees tweeted was “an absolute failure … [that] should be removed,” was just issued to Genesis Global Trading. In the past three years, only five firms have been able to obtain the license. Due to how hard it is to get the license, along with other difficulties, many firms do not even apply in New York, and recently exchanges including Kraken and Shapeshift has stopped operating in the state. According to the Genesis Global Trading website, they cater to institutions and high net worth individuals that want to buy or sell cryptocurrencies including Bitcoin (BTC), Bitcoin Cash (BCH), Ether (ETH) Ethereum Classic (ETC), Ripple (XRP), Litecoin (LTC), and Zcash (ZEC). Before getting this license, the New York based company has already been operation under a safe harbor provision. 6) Bitcoin mining company Canaan is filing for an IPO in Hong Kong. 7) Germany’s second largest stock exchange, Stuttgart Borse, its has announced it is launching a zero-fee cryptocurrency app. The Stuttgart Börse stock exchange has released an official announcement that they are launching a cryptocurrency trading app for smartphones where users will be able to trade Bitcoin (BTC), Litecoin (LTC), Ethereum (ETH), and Ripple (XRP). The app is called BISON, and it was developed by fintech firm Sowa Labs. According to the press release BISON will be free of charge to download and free of charge to use, meaning trades will be fee-free. Managing Director at Sowa Labs Dr. Spankowski,, stated that “BISON makes trading in digital currencies easy. It is the first crypto app in the world to have a traditional stock exchange behind it.” Not only does this make it easy for the general public to access cryptocurrencies, but it also helps give people who are new, some reassurance to be using an app that was developed by a reputable stock market. 8) Former JPMorgan executive Blythe Masters spoke about Digital Asset’s efforts to integrate blockchain technology into capital market functions at Consensus. The Australian Securities Exchange (ASX) is working with Digital Asset (DA) in a move that aims to replace their CHESS clearing and settlement system with the use of distributed ledger technology (DLT). According to the consultation paper from DA, the targeted rollout date for launching blockchain clearing on ASX would be either fourth-quarter 2020, or first-quarter 2021. The exchange has been interested in DLT since 2015, and announced that they would be the first exchange to use a DLT-based system for post-trade settlement in December of 2017. While speaking at Consensus 2018, Church also mentioned that DA is already working with other major financial infrastructure providers in all three major world regions. 9) The first, blockchain based, commercial bond transaction was completed by Russian Bank Sberbank, with a total value of contracts equaling $12 Million. Sberbank is the largest bank in Russia, and they just completed the first commercial bond transaction using blockchain, in a partnership with a major Russian telecoms operator MTS, and the National Settlement Depository. The issue of the MTS corporate bonds were set up by Sberbank’s corporate and investment banking division, and were issued with a “6-month maturity, using smart contracts ... and [were]carried out on the Hyperledger Fabric 1.1” - The value for the bonds reportedly 750 bln ($12 million USD). 10) The Chinese government has been working cryptocurrency ranking system and Ethereum (ETH) was ranked number one. STEEM was ranked number two! 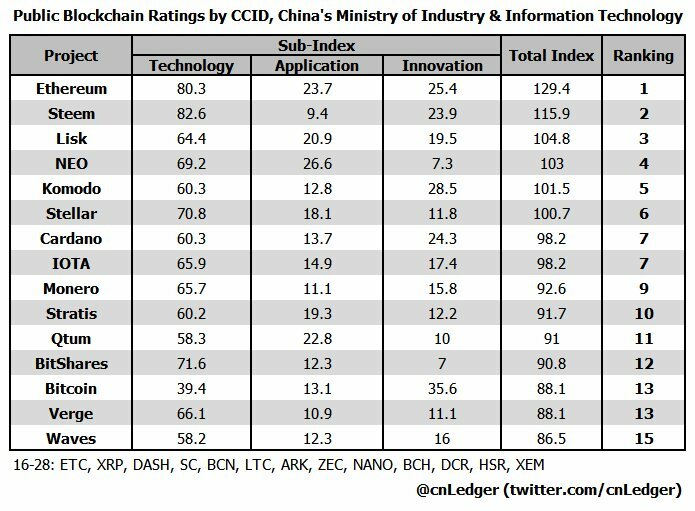 The Chinese Ministry of Industry and technology released their rankings of 28 cryptocurrencies, and ETH and STEEM took first, and second places respectively. All coins rated were evaluated based on three criteria - application, innovation, and technology. Bitcoin on the other hand was ranked at number 13, tying with Verge… ouch! While the CNN article claims that the addition of Steem to the top 5 was unexpected because “Steem is not a base layer blockchain technology that can be used to create DAPPs”, I personally think it was only a matter of time before people realized how great the platform is. CNN went on to say that “Steem is like Reddit based on the decentralized blockchain.” I think users on both platforms will agree that Steemit and Reddit are not even close to the same thing. 11) Spanish-based, european bank Santander has become the first company to use blockchain technology for investor voting. Santander is one of the largest banks in Europe, and as of May 17th, they are officially the first company to use blockchain technology for investor voting. Santander has a dedicated “Blockchain Lab,” and hopes that this voting system will be able to bridge the gap between the vote reception and vote tabulation processes. The blockchain investor voting reportedly helped increase transparency and efficiency. 12) Ledger has partnered with Nomura and Global Advisors with plans to building a secure digital asset custody solution called Komainu, for institutional investors. According to the official news release, Komainu is a new venture for the three firms, and was “established to overcome barriers to institutional investment in digital assets with new services, standards and best practice.” The goal of the project is to make it easier, more accessible, and more secure for institutional investors. The infrastructure and operational framework set up by the Komainu project will “pave the way for secure, compliant institutional investment in digital assets.” This is a project that moving forward can set the precedent for compliance, and regulatory related issues that institutions would have to deal with when they start participating in the digital assets markets. 13) Brian Kelly from CNBC is launching a Blockchain ETF. The ETF will be actively managed and consist of a portfolio of 30 companies actively using blockchain technology. Brian Kelly, famous for his instructions on “How to Buy Ripple” when it was at it highest point, and his clever segment “How to Sell Ripple” after the market crashed and the price was low, apparently thinks he should be in charge of a blockchain ETF. If his relocation strategy is to buy high and sell low like his news reports, I don’t expect too much from this fund. The article states that the ETF is not actually going to be investing “in any cryptocurrencies directly, but in companies with regulated security offerings.” Kelly and CEO Greg King will manage roughly 30 companies that use blockchain technology. Kelly thinks that crypto is in its early stages and compares it to the internet in the 1980’s. 14) Telecom firm Nokia and Software company OSIsoft is partnering with Blockchain data platform Steamr to allow mobile customers to monetize their user data and make purchases. Blockchain data provider Streamr’s data marketplace will integrate with Nokia Kuha’s base stations which will let Nokia customers both sell their data, and/or buy streams from IoT devices. Nokia seems to be very forward thinking with this move stating that they “recognize a growing movement of empowered mobile customers who want to control and monetize their own data,” and that the decision to partner “reflects our firm belief in the platform." Participants in the Nokia/Steamr partnership would be able to monetize their data and make purchases using an ERC-20 token called DATAcoin. Circle is now one the most well-funded cryptocurrency companies, along with Coinbase, in the United States, and have now announced their plan to create a stable coin called USD-C backed by U.S dollars. The $110Mn that was raised in the Series E funding round had investors including Bitmain, Blockchain Capital, Digital Currency Group, Pantera, and many other venture capital firms. Circle also outlined a partnership with Bitmain to help launch their fiat-backed coin which would be based off the Ethereum network. They say that they want the global economic future to be “shared, inclusive, distributed, and powerful — not only for a few chosen gatekeepers, but for all who will connect,” and have made some remarks about other fiat-backed coins, like Tether, saying they “have lacked financial and operational transparency, have operated in unregulated jurisdictions with unknown banking and audit partners, and have been built as closed-loop ecosystems and closed proprietary technologies.” As the owner of Poloniex, and with statements like this, it will be interesting to see how Circle innovates and pushes the crypto industry to grow. 16) IBM and Veridium will be joining forces to bring tradable carbon credits to the blockchain with the goal of making it easier for companies to offset their environmental footprints. A carbon credit is a tradeable certificate that permits a company to emit one tonne of carbon dioxide or similar greenhouse gas. Buying the credits is basically the company showing that they have “paid to have a certain amount of carbon dioxide removed from the environment.” In the past decade, there has been over $4.5 billion spent on carbon offset credits. The credits will now be tradeable on exchanges in token form, and will be issued on the Stellar network. 17) Thomson Reuters is launching a real-time cryptocurrency rates data feed, with API interchange from various crypto exchanges. The new product from Thomson Reuters will provide institutional-grade, real time data for cryptocurrency traders using “a ‎standardized reference rate and spot price index.‎” The data will be provided by bitFlyer and BITPoint for six coins, and more exchanges are planned to be added in the future. While Rueters doesn’t currently offer digital assets on their trading platforms, this may be foreshadowing that they could be embracing the idea. MUFG originally signaled its intent to launch a token earlier this year in January. The coin would be called MUFG and the bank plans to trial it’s use as early as 2019, and according to a report by a local news outlet NKH’s, one MUFG would be equal to one yen in value. NKH says that users will be able to use the currency to make payments at stores, restaurants, as well as to transfer the currency to other people with accounts. 19) Bitbond, an online Germany bank is now allowing customers to use BTC to transfer international loans. Bitbond, an online bank founded in Germany, is offering a loan service with international loans that are transferred using bitcoin. Clients hold the loans in the form of crypto only for the time they are sent and exchanged into the currency of the country where they want to receive the funds so they don’t have to worry about the fluctuating cryptocurrency exchange rates. They are currently processing around $1 million per month in loan payments. 20) The U.S. Securities and Exchange Commission (SEC) launched a fake ICO called HoweyCoin. In an effort to educate, and insure that can identify fake initial coin offerings, the SEC launched a fake one called HoweyCoin. The company will not be collecting money from people who do not realize that the site is littered with red flags of high returns, fake tweets, and has a team of people who a quick Google search will show do not exist. Instead, they will be “redirected to the [SEC’s] education tools, which are aimed at pointing out the signs of fraudulent token sales.” The goal was to bring awareness to the fact that fraudulent ICO websites are really easy for fraudsters to build to lure investors into phony deals. The image below is a screenshot I took on the site. 21) Coinigy has launched a subscription-based cryptocurrency trading mobile application via Coinigy Mobile. Coinigy Mobile will be available through both Android and iOS, in over 20 languages, to provide customers with a platform to place limit and stop orders on over 20 exchanges at once. The trading platform has data connectivity to over 40 exchanges, and their Cryptofeed platform supports over 2,500 markets. The subscription to Coinigy Mobile will be $21.95/month, and will also give users access to all of their current non-mobile features including wallet monitoring, SMS price alerts, and charting powered by TradingView. Coinigy founder William Kehl warned to “[a]lways remember, if you’re not paying for the product, you are the product — and in cryptocurrency, that often means your data is being farmed and sold to ‘hidden’ third parties,” and then went on to confirm that Coinigy will not be selling user data, and will not take any per-transaction fees on top of what the exchanges charge. 22) FuzeX enables shoppers to store up to 15 cryptocurrency accounts, 10 debit or credit cards and five reward accounts in one place with their smart eCard. The smart eCard will have buttons tied to different account to allow users to choose which account they want to use to make their purchase, along with to check their account balances to ensure they have sufficient funds. FuzeX has already developed, tested, and brought an eCard product to market in 2017 for the credit, debit and rewards account market, after crowdfunding $2.2 million on Indiegogo. Currently, they are the only eCard provider offering a smart eCard that links to both cryptocurrencies, as well as traditional payment methods like credit or debit cards. FuzeX has also recently concluded an ICO for their FXT tokens which have been listed on four exchanges. FuzeX will offer discounts to users that pay for membership using the FXT token. 23) Coinbase said that it will be upgrading its services to cater to ultrafast traders making them one of the first bitcoin exchanges to welcome high frequency crypto trading. Coinbase is about to get a lot faster as the company makes a much needed upgrade to their systems and services. Planned for later this year, the company annouced it’s plans to offer “low-latency performance” using a practice called co-location, where trading firms are able to place their servers directly in Coinbase’s data center. Co-location is used to minimize “split-second delays associated with transmitting data back and forth between the trading firm and the exchange.” The practice is currently used by high-frequency trading firms in traditional markets like Nasdaq or the New York Stock Exchange. Coinbase says that the move to accommodate HFT will benefit their users by reducing the bid-ask spreads in their current markets, but many investors are suspicious of HFT which can easily take advantage of slow-moving, normal traders. 24) Social cryptocurrency trading and brokerage firm eToro is expanding to the United States, they announced at Consensus 2018.
eToro is officially launching their platform in the United States and will be offering ten cryptocurrencies right from launch. In March this year, eToro’s Series E funding round raised $100 million which it will use in their “global expansion and the development of blockchain technology to support the digitization of assets.” The company saw strong demand for this product in the U.S. and has plans to launch other services including a wallet, and ann exchange. Currently in the U.S. the eToro app will offer ten coins including Bitcoin, Litecoin, Ethereum, Dash, Bitcoin Cash, Stellar Lumens, Ethereum Classic, NEO, XRP and EOS, with plans to add more digital tokens in the coming months. 25) HTC is selling a blockchain phone called Exodus that will be designed for decentralized applications and security. 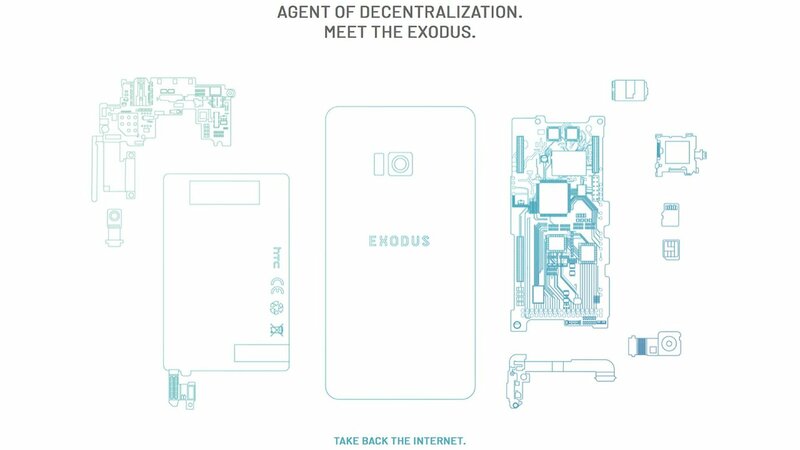 HTC’s new phone, called Exodus, is designed to support decentralized applications,have increased security, and will be built with a hardware element that connects to cryptocurrency wallets. 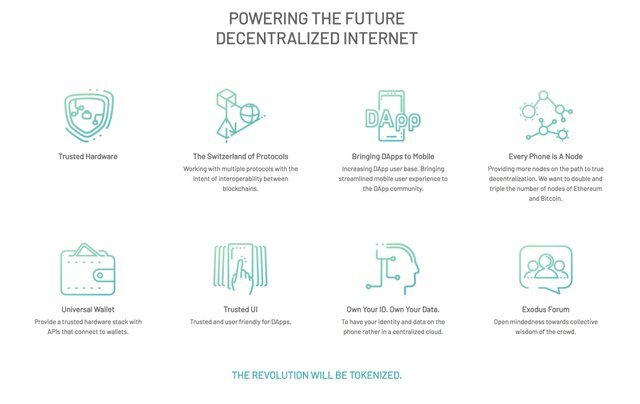 The company claims that they want to “double and triple the number of nodes of Ethereum and Bitcoin” and boasts that every phone will be a node, and will be optimized to not eat up storage, bandwidth, and phone performance. No details have been given yet regarding phone specs. Do You Feel Caught Up with Crypto News Now? - Upvote, Comment, Resteem and Follow! If you enjoyed this article, and the stories shared in it, please let me know. Your feedback is very important to me as a Steemit Minnow, and every comment, upvote, and resteem helps me know that my content is appreciated. Now this is by far the longest Steemit post I have made so far so it seems like a perfect time to announce this - when I hit 2,000 followers I will be giving away a Logitech C922x Pro Stream Webcam for FREE. This camera is brand new, and I was going to sell it, but I realized that it would be beeter used if I gave it out to someone in need in the Steemit community. This camera works with greenscreens, and shoots in HD, 1080P quality. To enter, all you have to do is follow me. When I get to 2,000 followers, I will choose someone at random to give this away to and anyone that is following me before June, or who resteemed this post will get an extra entry, so don't forget to follow and resteem! Using irrelevant tags, especially popular tags, makes it hard to find good and relevant content. Please try to use only relevant tags when posting. A tag for posts about the Steemit website itself. Posts can include suggestions on how to use the website, improvements, or discussion about Steemit Inc. This tag is for discussing the STEEM/SBD tokens or the STEEM blockchain itself. Hello. Thank you for letting me know, and this service is a fantastic addition to Steemit. I have upvoted this comment so other Steemit users can see this and be aware of the proper usage of these tags. I wasn't aware which was the correct version to use, but now I know. I hope you did not downvote me for this on the last (out of 7) days on my post. I have edited the post/tag to reflect. I guess "steem" would be the appropriate tag since my reason for using it was the article included which states that China has ranked Steem the number 2 cryptocurrency. In the future, I will make sure to tag "steem" for token related news, and "steemit" for platform related information. Very excited about coinbase compound investment and Japan always doing something positive for the community. Great things happening in the crypto space. We're living in it! Pretty incredible. It's about very serious things. Thanks to the author for reviewing this topic. I am glad you enjoyed, and reviewing these topics was m pleasure. Stay tuned.. I hope to do a new one of these soon! Amazing news roundup, thanks for sharing. I've smashed the upvote button for you! Wow, that's actually a really cool concept. I can see how that would be helpful to the startup as well. I'll be sure to check it out. Thank you for reading. I hope you enjoyed, and stay tuned to my channel for more like this. I am hoping to do another weekly news wrap up like this soon. Lots of news coming out recently! Thanks for your reply! Great that lots of news coming. I am looking forward to it. I appreciate the nice words. Thank you. Thanks. Hope you ennjoyed, and look out for another crypto-news round-up like this one soon. Thank you for the news and keeping us upto date. You're very welcome. I hope to do one of these per week so stay tuned and look out for another onne next week. This post has received a 18.15 % upvote from @booster thanks to: @instatrashed. The minimum amount to use our service is 0.12 or 0.121 (incognito) We have honored your payment for this post but please submit the correct amount from now on. You can always find the current minimum in our profile headline. Thanks. A few days late, but I guess better late than never? Congratulations! This post has been upvoted from the communal account, @minnowsupport, by w00tl00t from the Minnow Support Project. It's a witness project run by aggroed, ausbitbank, teamsteem, theprophet0, someguy123, neoxian, followbtcnews, and netuoso. The goal is to help Steemit grow by supporting Minnows. Please find us at the Peace, Abundance, and Liberty Network (PALnet) Discord Channel. It's a completely public and open space to all members of the Steemit community who voluntarily choose to be there. I subscribed to you and voted! I will be glad for reciprocity, I also write interesting articles! Thank you Alex. Following you also.